Kona: "Um... Ehime? That's the toy I retrieved." Ehime: "Oh, really? Good job. (bubble bubble)"
Kona: "Um... Ehime? Can I go through?" Ehime: "Don't rush so much♪"
While doggies are exercising in the swimming pool, grandma came out in her bathing suit. She sat down at the edge of the swimming pool and put her legs in the water. 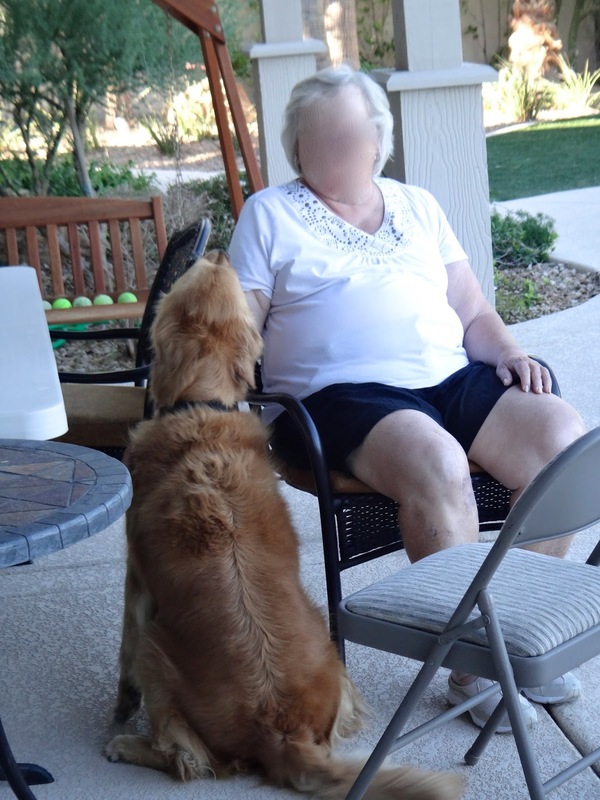 Suddenly Kona jumped in the water and stood by grandma. And he decided not to retrieve his water toys anymore. Kahlua: "What is Kona doing over there, mommy?" Mommy: "I'm not exactly sure." I picked up the water toys and told doggies that their exercise was over. I started to water the vegetable plants. Kona was still in the water and kept standing by grandma. Then I realized. Kona was worried about grandma! 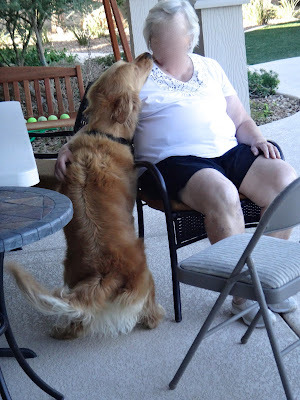 I told grandma that Kona wants to make sure she is OK there. Grandma got her out from the water and said "Kona, look, I'm OK. Please get out the water." Then Kona got out from the water. Mommy: "Are you worried about grandma, Kona?" 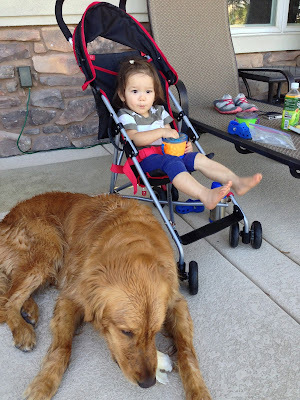 Kona: "I just don't want her to be alone." Grandma took a shower and came out again. Grandma: "You are a great dog, Kona." Grandma: "Does Kona do the same to Haru-kun?" Mommy: "Yes. He liked to stay right next to Haru-kun. When Haru-kun gets too close to the swimming pool, he stands by his side to block him from falling into the water." Grandma: "You have a wonderful heart." Kona: "Granma, please stay healthy and live a long time." Kona: "It was another beautiful swimming day♪"
Kona: "Grandma? My security service time is ending for today. Is that OK?" Grandma: "OK. Thank you for your service♪"
For our doggies who love grandma very much, please click the puppy photo on the right above or a dog picture below. Thank you!